This is the backdrop to a recent Knowledge Management Fund (KMF) supported workshop – hosted jointly by Mercy Corps’ Jordan and Lebanon country offices and ISDC – International Security and Development Center – in The Hague. The motivation of this workshop was clear from the start. The time for talking about knowledge gaps is over. The time for developing the approaches to overcome them has begun. On one level, closing these gaps seems like a rather straightforward process, involving decent M&E, advanced learning and impact evaluation. Yet, it is one that is prone to particular difficulties. Layers of definitional complexity must be overcome even before one gets to the meaty stuff of data collection in the complex environments that necessitate employment for stability programming. What stability is, precisely, is an important question to ask because without providing a meaningful answer it is next to impossible to measure let alone to understand how it might respond to an employment programme (or, indeed, any other type of intervention). To some, stability should be viewed almost like a biological system. That is, a system is stable given a particular state of nature, where there is little reason to believe that said state will change drastically. In effect, stability is akin to what economists call an equilibrium. 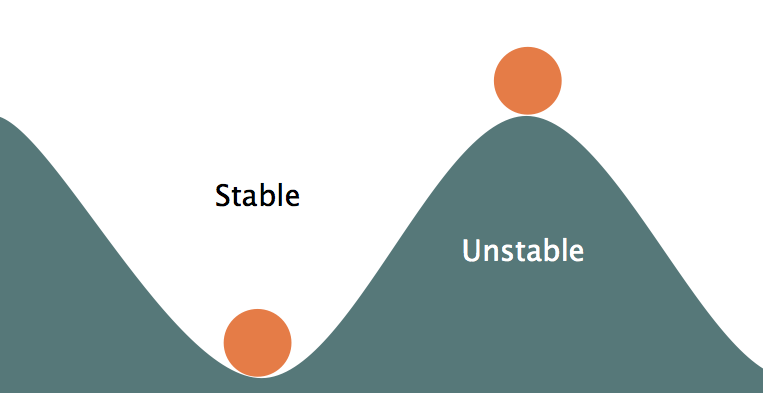 Yet when it comes to the kinds of things that are, politically, implied when a term like “stability” is used, some apparently stable equilibria are probably just as undesirable as unstable ones… In this view, “stability” may actually be a very poor term. Or, perhaps more accurately, a catch-all euphemism for what its users view as desirable environments. This expert contribution was originally published by Neil Ferguson as part of a Knowledge Management Fund grant on the website of the Knowledge Platform Security & Rule of Law: https://www.kpsrl.org/blog/analysing-the-role-of-employment-programmes-in-building-peace-and-stability.